Woodside’s mission statement is Helping people Belong to Christ, Grow in Christ and Reach the World for Christ. We want people to know that we are about Worship and the Word. Brad has been at Woodside for 36 years as a member, 21 of those on staff. Get in touch with him via email. What are the top books you’ve read on the topic of guest services and/or volunteerism? Once we have a first time Guest contact, we text, call, email and meet face to face through a process that lets people know that we know they have been at Woodside and we care for them. Each contact exposes them to the possibility of attending the Next Steps Pathway which introduces them to Jesus first and our church culture of growing together as a family. Does your discipleship team, kids team, worship team, missions team, etc. 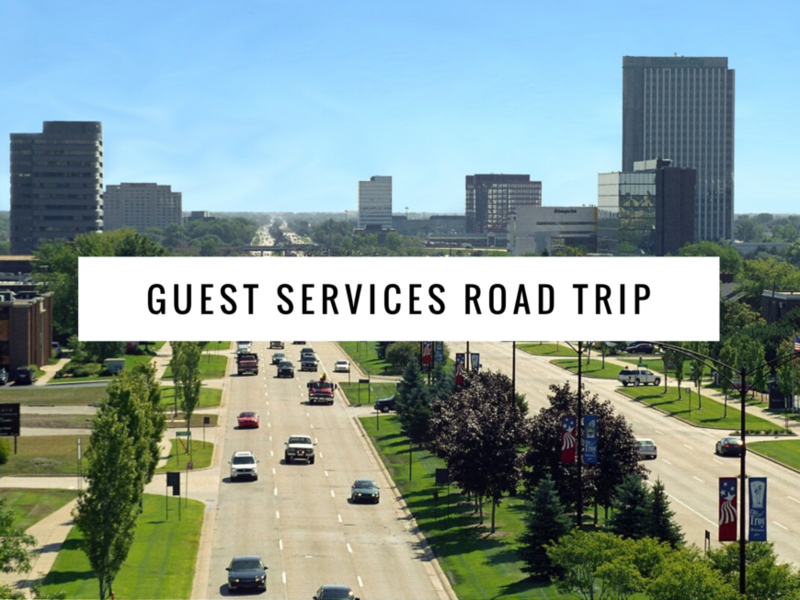 view guest services as an essential part of their mission? Yes! We are an essential part of building every ministry and work closely with all demographics to reach our community. Our Connect Team knows the leaders of the different ministries and can quite often make personal introductions to our new Guests. Like most churches, we have Greeters, Ushers and Information Desk, (Connect Centers). They all do a fantastic job at ministering at each of their locations. The extra layer we’ve added is Section Communities with Leaders who enjoy extended conversations with Guests, both new and regulars. Many have connected in the Sections and have built friendships within them. It is one more step in making a large church small. I served as a Campus Pastor for nine years at another Woodside Campus and came back to Troy two years ago to minister with our Connect Team and our assimilation/membership ministry called the Next Steps Pathway. We have multiple services at Troy, but not all Teams have served in the same way. Once in place we should have created alignment in all of our services earlier. That is a process which we are now implementing. Success is our Team engaging in conversations, not only with our regular Guests, but also with the new. Success is people taking their next step with Christ Jesus whether for salvation or growth in their walk with him. What is an idea you’d like to experiment with or implement over the next six months? We are redesigning our lobby at our Troy Campus which will make our Connect Centers different. I’d like to do more to have organized tours of our ministries and facility.